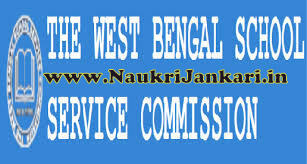 West Bengal School Service Commission has issued official advertisement for Teachers Eligibility Test (TET) 2015 Examination (Upper Primary Level). The TET 2015 (Paper-II) exam is likely to be held on 30th August, 2015. Read out further to get more details about WBSSC TET 2015 examination. Eligibility: Candidates must pass degree level (pass course) with minimum 50% marks. The eligibility criteria is strictly maintained by National Council for Teacher Education (NCTE). Do the candidates need to apply again who already applied in January-February, 2014? Well, they don't need to reapply. The things they are required to do is to add their addition details like address, uploading of photo and signature etc. Do they need to pay application fees again? No, they don't need. Details are given in the official advertisement. For online application link and notifications, check here. If you have any query feel free to ask us here. 0 comments for " WBSSC TET 2015 Notice, Eligibility, Online Application "